the conversation from the last post (if you haven’t read the comments, or contributed your own story… go!) 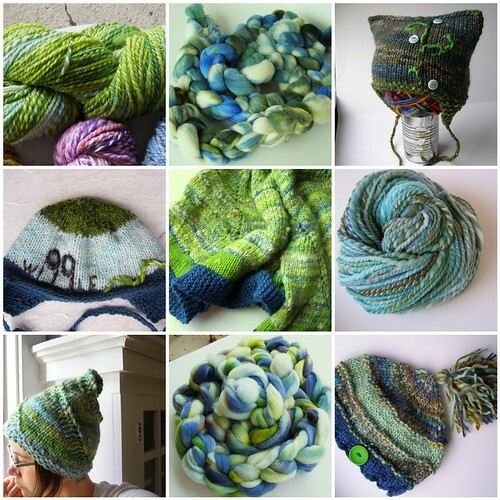 has me thinking about what colors have really changed for me in the last few years, especially since i’ve started dyeing as a major part of the fiber arts that i pursue. both of these color changes have to do with my homeland: montana. variations on certain shades of blue and green have become attractive… think bright and dark piney greens layered in front of bright sky blue. think cold mornings and 90 degree days of the most delicious dry heat. this change has been so pronounced that ben has even noticed it. the second color change is more recent, developing since i changed dye brands last summer. variations on all shades of yellow – we are now in late summer montana. think fields of wheat, dry yellow grasses on the side of the road. or early summer – think sagebrush buttercups. how have the places and spaces that you have spent time with affected the way you look at color? This entry was posted in color, cosyknitsliterally, dyeing by cosymakes. Bookmark the permalink. 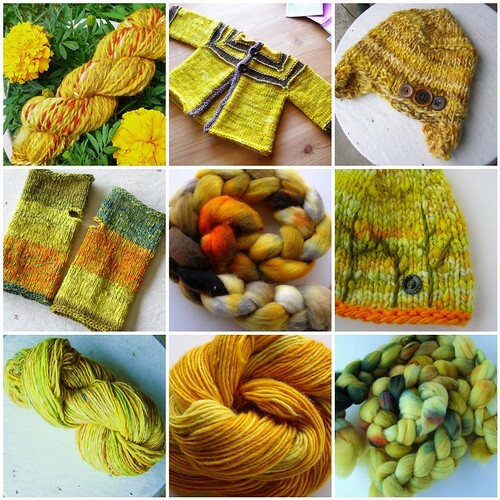 yes, i concur… i love dyeing using the surrounding environment as my palette of inspiration. i share a similar landscape as your native montana, i live in southwestern AB.. love those hot, dry, yellow days! you’ve captured it very well. also, the dry, grey, sage greens too, i would love to do something with those. though now everything is green b/c of the over abundance of rain & snow! I feel like every place I go, everything I read…it all affects my color preferences. But growing up in central PA and living in Pittsburgh has made me fond of bright greens, like sun on the leaves, of gray-green tree trunks, and clear browns of streams. But I’m spending a lot of time daydreaming about India and the sea, so there are healthy shots of bright color in my imagination these days, too. Oh, I love the golds and greens you posted! Hmmm… makes me want to knit something! I just found (or perhaps re-found) your blog. I love the patterns and if you ever need a test knitter with wee boys let me know. I love your yellows! Never in a bad mood while working with yellow.